Social Media Shelf Life – How long your content lasts and how to leave a lasting impression. If your content appears in a feed and no one is around to see it, does it make an impact? In today’s social media space, visibility is everything you need to be thinking about and more. Even if you have the most amazing offer or a fantastic new update that you’re bursting to share, having your content seen amongst the digital landscape is becoming increasingly harder. Is my content truly of purpose and quality, rather than merely filler? Am I using the right channels appropriate for my business? Am I targeting the correct audience? If there’s any app that symbolises immediacy and spontaneity, it’s Snapchat. Initially the app attracted users for its quick method of storytelling (1-10 seconds worth). The story function has since allowed names and brands to expand their narratives into a stream of short snaps which have the ability to last up to 24 hours. For your marketing to really have an edge, consider features such as the Geofilter function, using graphic filters to engage local communities through event and brand awareness. The app is also quick and widely accessible. Rather than using it to promote content – use Snapchat to show behind the scenes action so users feel they have exclusive access. You only have to look at Twitter every few minutes to see an entirely fresh new feed of content every time. Content is hard and fast. In fact, a tweet has the short lifespan of around 18 minutes. Amongst so much content flowing in the same stream, how can you stand out? What some marketers don’t realise is that less is more. Tweet too often, content becomes repetitive. You don’t want to leave audiences struggling to make out what you’re trying to say amongst all your message overload. Tweet less and focus on key messages, and your tweet might just have a longer lifespan. Twitter is also a community of conversation, make sure you reply to audiences, start discussions and engage in dialogue – this presents you as an active social whiz. Typically, Facebook posts receive almost all engagement within the first five hours of upload, a considerably short window to be seen. What’s more, a change to Facebook’s algorithm in early 2018 brought about mixed feelings from publishers. 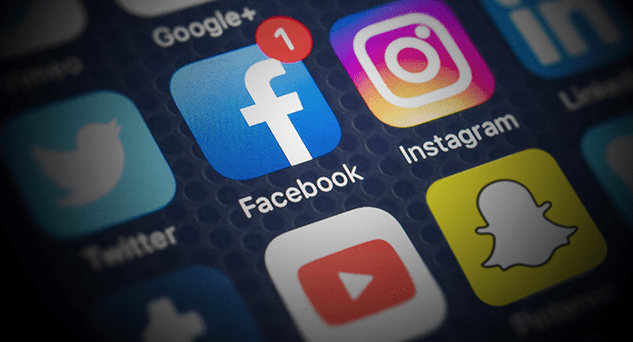 In a bid to keep feeds personable and people connected, the network giant has since started to favour genuine social interaction over small business posts and promotions. Consumers continue to watch hours and hours of video, so it’s worthwhile to consider either employing or commissioning video as part of your social strategy. Facebook Live is equally as good a feature, embodying the “here and now”. Facebook also recognises and pushes back overly promotional content whether that be posts that push people to buy a product, posts that re-use text from ads and posts around competitions. To combat this, simply place emphasis storytelling in place of selling – an engaging narrative ultimately makes your content shareable and memorable. In a similar way to Facebook, Instagram sorts posts by relevance rather than chronologically. On Instagram’s feed, posts can last up to 21 hours with help from hashtags and its focused newsfeed. Instagram also contains a 24 hour story function as per Snapchat. To really make a statement however, a filter is not enough. On a social platform built upon visuals, your imagery and photographs must be bright, high quality and eye-catching if you want to be visible. Thanks to Instagram’s Insights feature, you’re able to find out which of your posts work well. Use this to your advantage to give your audience more of what they want and enjoy. Finally, there’s LinkedIn. A B2B platform predominantly with an affluent, professional demographic, posts have the ability to last up to 24 hours. When it comes to content, subject matter is usually around industry trends and thought-leadership. To organically boost content for longer, expand your messaging into longer blog posts, giving the opportunity to reach audiences unfamiliar with your brand. LinkedIn’s group feature also allows you to engage with other like-minded professionals in the industry – imperative for your lead generation. The underlying similarity between all these platforms is that they all favour quality content and how better to promote content by blogging. If you’re wanting longer lasting content, a blog post has the potential to average a lifespan of two years. Through an abundance of keywords, expert knowledge and well written copy, you’re keeping your content fresh, you’re boosting SEO and you’re giving customer and audiences a reason to stay engaged for longer. If you’re looking to upgrade your social media, your first step is understanding that not all these social platforms will work for you. It’s about creating a clear, structured social strategy to a relevant audience. Call the Social Media team here at Rocket on 01604 250 900 and we’ll take your content strategy stratospheric.